Singing is fun, right? But you know what makes it even more fun? Using the best vocal processor, you’re able to get and unlocking lots of potential that was out of reach before. A vocal processor will allow you to change your voice in different ways or add harmonies or make it sound that you’re not just one, lonely singer, but a team of great musicians. We know that there might be a few questions you want answered, like what a vocal processor is, which vocal processors that are good for live performances and recordings and how to hook it up once you’ve bought one. We will answer all of these questions in our buyer’s guide so that you can be confident when you buy your vocal processor and feel like a real pro that knows what they want. We have found ten great vocal processors that we think you should take a closer look at, and we recommend that you watch the video demos we’ve linked to as well so that you can hear for yourself what these little machines are capable of. After all, the sound is the most important thing! When you read through the reviews and watch the videos, make sure that you write down the ones that you are considering, because it can be hard to remember which the different ones are and if you don’t remember you might have to read everything through twice. You can also write your own pros and cons for the different vocal processors, which will really help you to compare them to each other. What to Look for When Buying A Vocal Processor? What is a Vocal Processor? 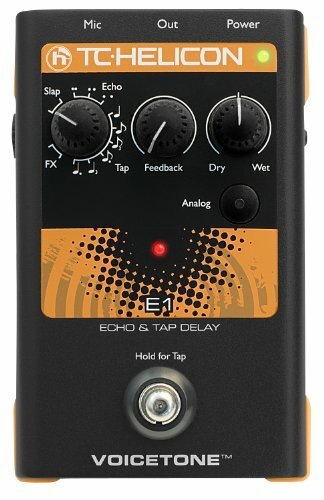 Best Vocal Effects Processor for Recording? How to Hook Up A Vocal Processor? Are you ready to find your new vocal processor? Great, let’s get started! We are positive that you’ll be able to find one that suits your needs and takes your music to the next level! And just a reminder, don’t forget to watch the video demos! We’re starting off this list strong with a really cool little vocal processor from Roland. Just hearing the name Roland makes us immediately think ‘quality’, and we weren’t wrong. The construction of the Roland VT3 Voice transformer is well-built and sturdy, and it doesn’t slide around on the table. It’s very easy to control and use and is great for live performances. So what can this Roland AIRA Series VT-3 voicer transformer do? It has a lot to offer! It doesn’t do any harmonies, but if you’re only interested in tweaking your own voice, this has everything you need. You can add reverb to your voice, change the pitch up or down, you can make your voice sound like a robot, add some bass, megaphone sound or add a scatter sound, which is really cool. 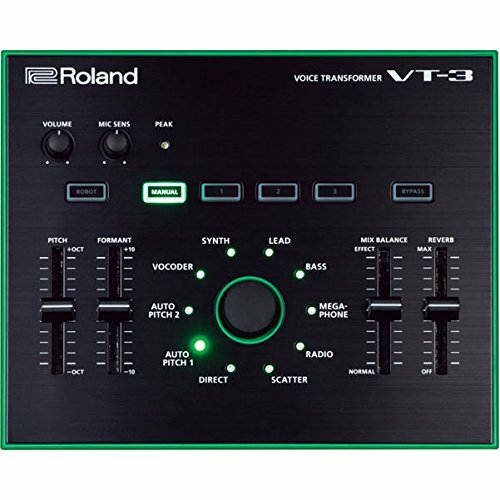 Curious to find out what this Roland AIRA series VT3 voice transformer can do? Head over to YouTube and watch this video where all the sounds mentioned in the previous paragraph are demonstrated. After watching it, we totally want one of these! 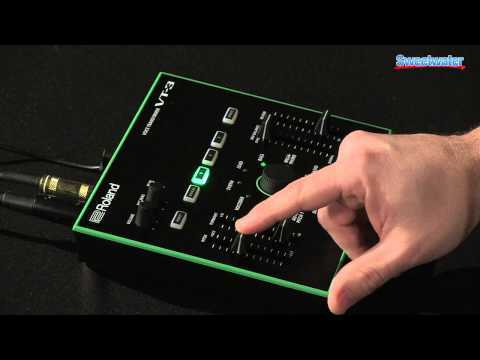 Why We Liked It - The Roland AIRA series VT3 voice transformer is small and compact and very easy to bring with you wherever you go, in other words, it’s perfect for DJ’s. It has USB and phantom power, making it even more user-friendly. 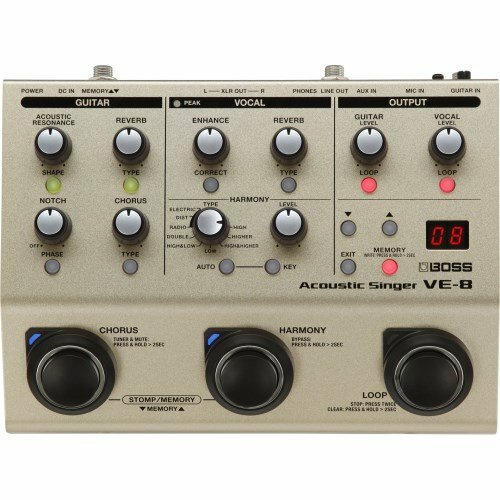 If you want to find an incredibly versatile vocal processor, take a look at Boss VE-8 Acoustic Singer! Think about what you want it to do, and you can be pretty sure that it does it! This vocal processor is not only golden in the way it performs live, but also the way it looks. 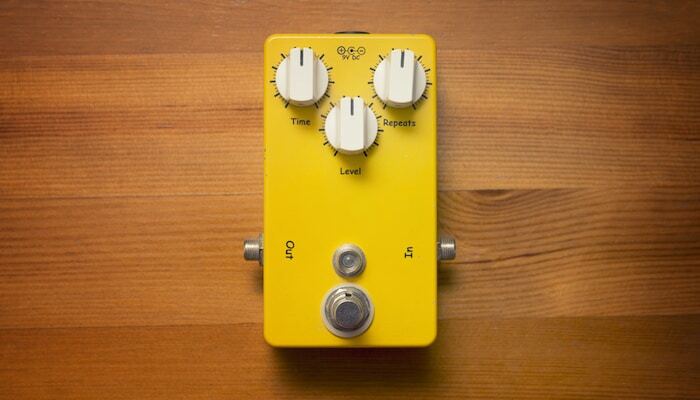 We really like the gold color, and the casing and knobs seem to be high-quality. As we said, this one can do it all. Things like adding reverb or changing the pitch are easy, you can even change the pitch chromatically, which is perfect for live vocal tuning. It’s easy to add harmonies, and it’s able to pick up what chord you’re playing guitar and then add harmonies to your voice that matches the chords. You can also choose how much harmonies you want to add, and you can add a vocal doubling effect, which makes it sound as if you’re singing a duo with somebody. Here is a video that really shows you how good this vocal processor is, you’re going to like this! You’ll also notice that this Boss audio device really easy to adjust even during a performance. The possibilities are almost endless! Why We Liked It - This is a gadget that’s really built to be used, and it’s very easy to adjust your tone, making it a good option for live performances, both by live musicians and DJ’s. - Since it’s quite advanced it does take a few minutes to read the manual and learn how to use it, but it’s worth it! 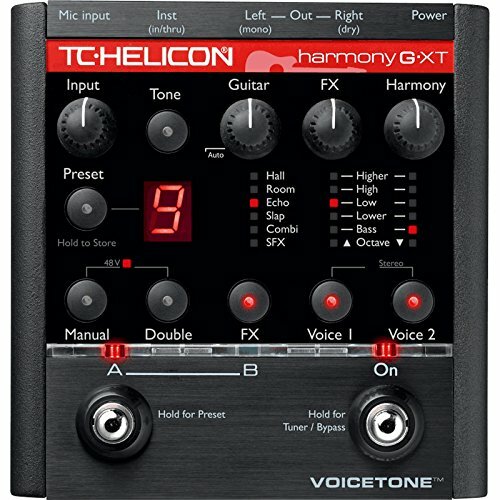 Just a quick look at the reviews on Amazon for TC Helicon VoiceTone Harmony-G XT would be enough to convince many to just buy it straight away since it has lots of five-star reviews. 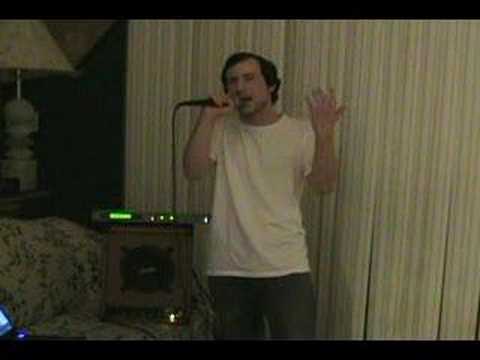 If you want to add harmonies to your singing, this is the way to go! 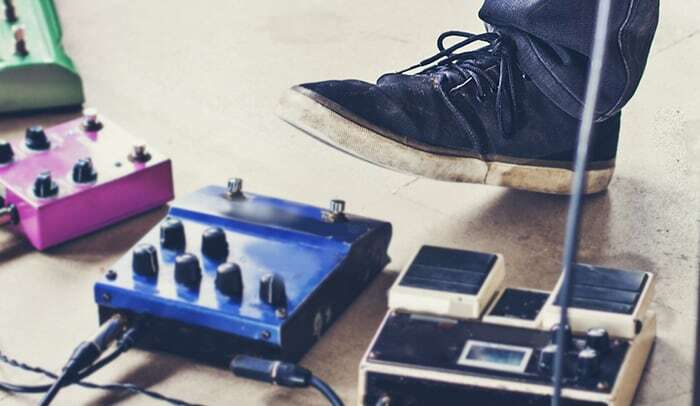 This vocal effect processor pedal is sturdy and obviously made for stomping on with your foot, which means that it’s designed to be used, it’s not going to break easily. It has USB for software updates and tips, and there is an included app that is helpful for preset management. 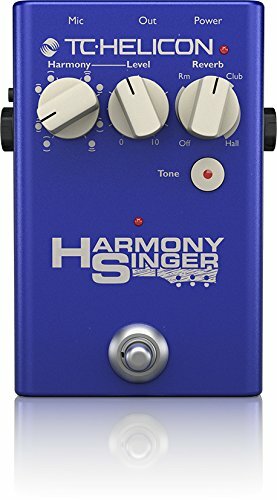 This vocal effect processor pedal can add reverb and stuff, but it really shines when it comes to the harmonies, and you can use it with a guitar or a keyboard so that the harmonies match the chords you’re playing. It can also double your voice. 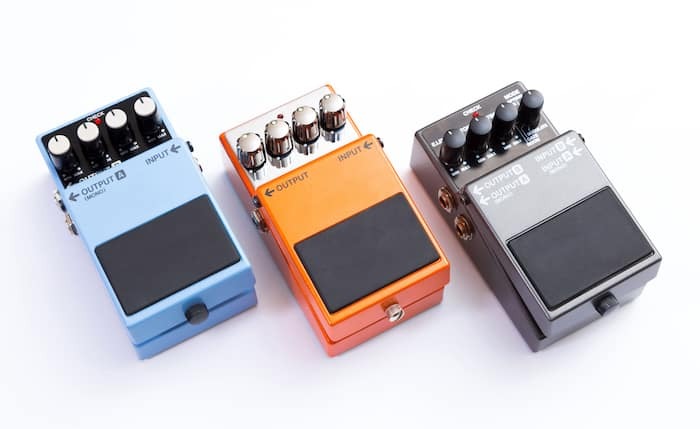 The thing about this vocal processing device is that it is a pedal, so it can be useful for live performances if you don’t want to change your tone very often since it’s kind of a hustle to bend down and change the settings often. This means that it’s probably more useful in a studio recording situation when you have time to change things without a bunch of people watching you. By now you know the routine- it’s time to watch a video! Check out this demo if you want to know more about this vocal processor and hear it in action! Why We Liked It - Reviews tell the story of satisfied customers that use it for years without any problems, so you can rest assured that it’s going to keep working for a long time to come. 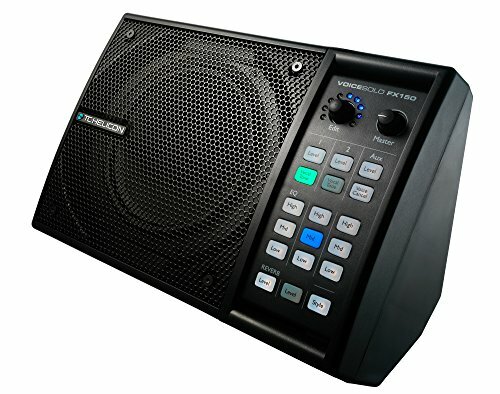 If you’re a beginner looking to get a vocal processor that is extremely easy to use, you might want to buy TCHelicon VoiceLive Play. Even though we really like this TCHelicon VoiceLive Play vocal processor, the quality seems to be quite low, at least if you’re unlucky. We’ve heard of people that are disappointed that it broke after a year or so, or that the buttons don’t work properly. But of course, this isn’t the case with every single one, it’s just something that is good to be aware of if you’re going to use it a lot or even professionally, then you might want to get another one. But if you’re just buying it to have fun with, we don’t think this is something that should stop you from getting it! We don’t really like the blue color which, in our opinion, looks cheap, but we’re sure some people would beg to differ! 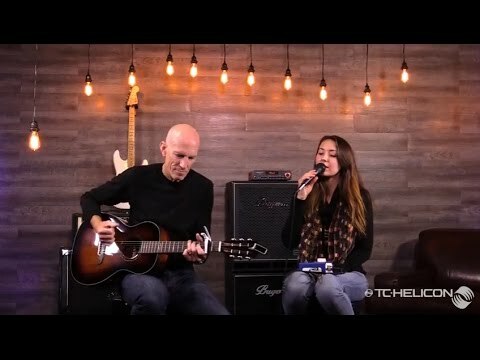 What makes this TCHelicon VoiceLive Play vocal processor unique is the over 200 presets that are inspired from famous songs and artists, which is a great feature, especially if you play covers and want to sound like the original. But it’s also very useful if there’s a particular sound you have in mind that you’ve heard in a song, but you’re not quite sure how to get the right setting for it. Another great feature is that you can plug in your MP3-player and sing along, and the TCHelicon VoiceLive Play vocal processor will cancel the singing in the song so that you don’t have to sing a duet with the artist. Still not sure if this is the vocal processor for you? Or do you like it so much that you’re eager to learn even more about it? Watch this demo! Why We Liked It - With over 200 songs and artist inspired presets you can be sure to find sounds that you like! If you found this article in the search for a device that can provide you with great autotune, then you’ve finally found it! Tascam TA1VP Vocal Producer is the vocal processor for you! This is probably the vocal processor that feels the most luxurious out of all the ones on this list, and we’re pretty sure that there is nothing wrong with the quality. This vocal processor is kind of a one-trick pony. It’s great for autotune, and you can select whether you want autotune for all the notes, or a particular note, maybe that high note that you always struggle with. You can also choose which scale you’re singing in, which will make it easier for it to know which note you’re aiming for. It was kind of difficult to find a good demo for this vocal processor, but we managed to find one that shows what you can do with it. Warning: The song is really long, you don’t have to watch the whole thing but it’s good to get an idea of what you can use it for. Why We Liked It - We’ve only managed to find four and five-star reviews for it, which normally means that it’s great. It looks really professional as well. Boss VE-20 Vocal Performer is a great option for musicians who not only sing but plays musical instruments as well. 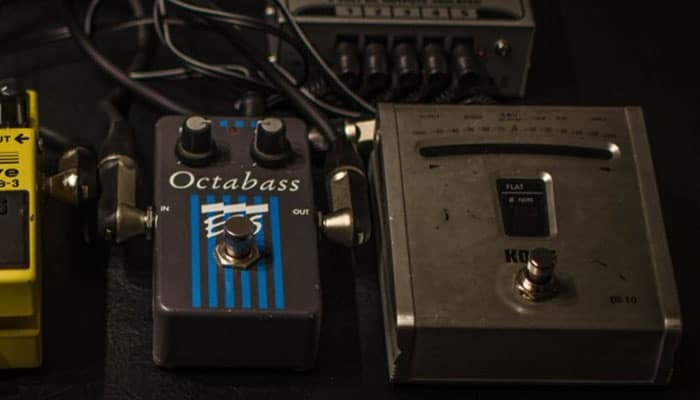 It’s a vocal effect processor pedal that’s easy to use and suits all beginners and amateur musicians. This foot pedal is high-quality and is sturdy and well-built. 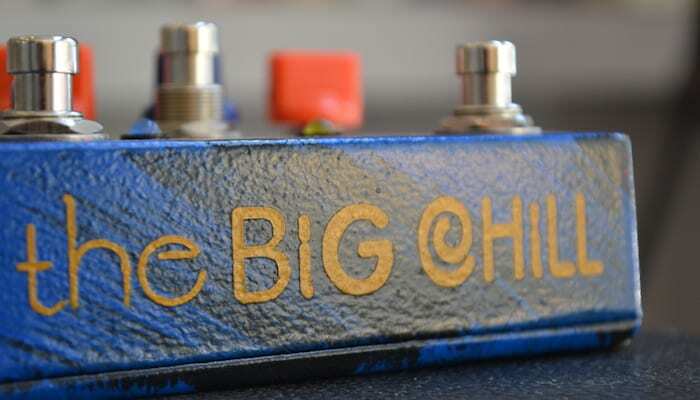 The two big effects processor pedals make it user-friendly and you won’t have to worry about missing the vocal effect processor pedal with your foot. We really like the red color, it looks really cool. This vocal processor features harmonies, double-tracking and pitch correction. There is a lot of things you can use it for, and it’s very versatile. Reverb? No problem? Loop station? It’s got it! Here is a good demo if you want to hear the different effects this vocal processor features, including preset sounds. If you didn’t feel like you needed this foot pedal before, you’re going to feel it when you’ve watched this! Why We Liked It - This is the perfect vocal effects processor for the musician who finds himself reading through these reviews thinking ‘How on earth am I ever going to make a decision?’. 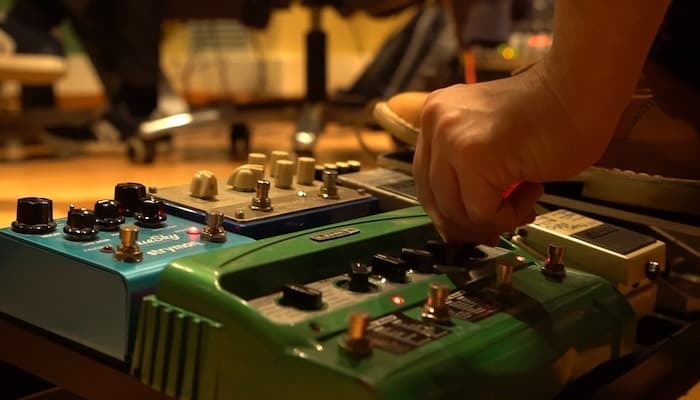 This vocal effect processor pedal works well for everything and works for most musicians! ...We can’t even think of any cons! Some singers might look through the reviews on our list with a sigh. If you are a good singer and don’t feel like you have any use for special effects, is there still a vocal processor for you? Yes, there is! 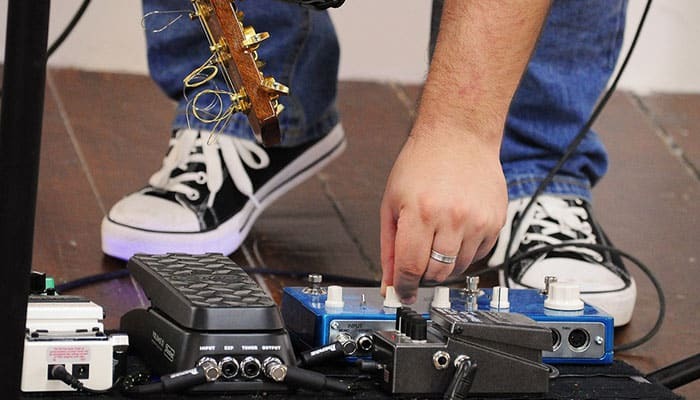 This is a sturdy little foot pedal that seems to be of high-quality. It looks cool and is easy to use since it doesn’t have too many weird effects you won’t use anyway. Here is a demo that will teach you more about this vocal effect processor pedal! Check it out! 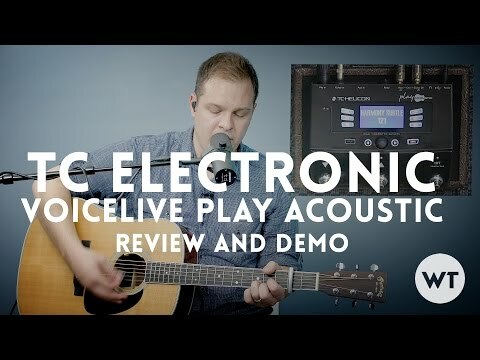 Why We Liked It - TC Electronic Singles VoiceTone E1 lets you add an echo effect to your singing, which makes it possible for you to just add more depth to your sound. 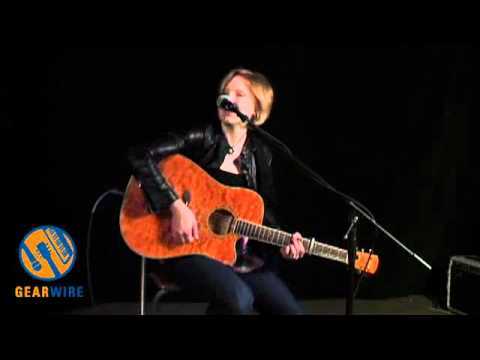 Do you sing and play the guitar? 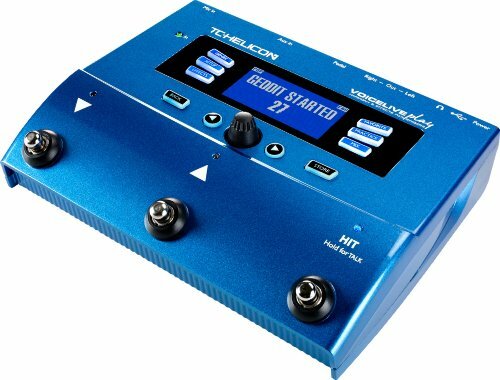 In that case, you are going to love TC Helicon Harmony Singer 2! It seems like there have been quite a few defective ones, and some reviews we’ve read have stated that they had to buy new ones after a year or so. But what strikes us about that is that those people actually have chosen to buy a new one. Another thing that is good to know is that they offer a 3-year warranty, so if something is wrong with it that isn’t your fault, you’ll probably be able to get a new one for free. So no need to worry really, if you want to give it a go, do so, you don’t really have anything to lose! So what is this thing good for? This vocal effects stompbox will tune in to your guitar chords and when you sing it will add harmonies that match the chords. It can add one voice, or two voices if you want a really full sound. You can also choose to add some reverb, choose from three different styles. 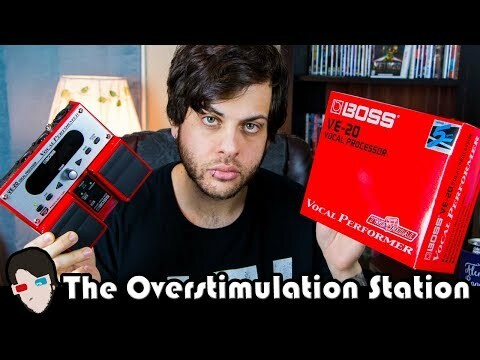 If you want to hear what this vocal effect processor pedal can do for your music, head over to YouTube and watch this video! 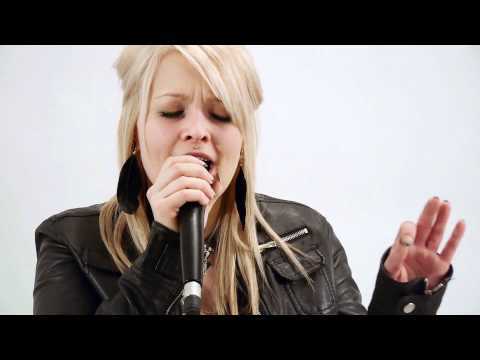 They demonstrate it really well, and the singer is awesome, so it’s really entertaining! Why We Liked It - It’s an effect pedal that will let your singing and playing guitar come together in a harmonious marriage of melody! 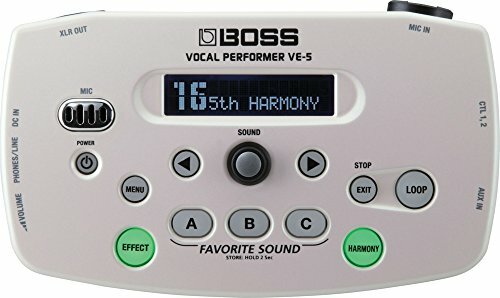 Second to last is BOSS VE-5, which is an amazing gadget for vocalists that want a vocal processing device that they can easily have with them on stage. You can attach it to the mic stand, which makes it really easy to use without distracting the audience too much. We haven’t managed to find any bad reviews regarding the quality of this vocal processing device, so chances are that it’s extremely high-quality! This vocal processor offers lots of opportunities to change your tone, you can add reverb, delay, harmony, dynamics, pitch correction and it has a loop station. Radio voice, robot voice and a scary, distorted hard rock voice is totally possible, and if you like fun effects, you’re going to love it! It does, however, make your voice sound a bit unnatural, so it’s probably best for genres like pop, rock, disco and similar styles and less appropriate for jazz and musicals. Here is a great video that demonstrates pretty much everything you can do with the vocal processor! Why We Liked It - It’s really nice that you’re able to attach it to the mic stand. It’s easy to use and you can just get started right from the moment you open the box. If you have no idea why anybody would want their voice to sound like a robot, or don’t get why you would want automatic harmonies added to your singing when you can just have a friend sing them, then this might be the vocal processor for you. The quality seems to be decent, in the sense that it doesn’t seem to break down very easily, but there is one thing we’ve noticed in several reviews, and it is that the volume is unusually low, which can be devastating if you’re playing in a band and are trying to make yourself heard over electric guitars and drums. But if you are singing with acoustic guitars that aren’t that loud, it should work, or even if you’re two backup singers singing acapella. A good thing about it is that you can attach it to your mic stand, which is very convenient. As we mentioned previously, this vocal processor doesn’t offer any fun guitar effects, but it simply includes an equalizer and reverb plus volume control. It’s basically a mixer that you as a singer can control easily yourself. Check out this unboxing and demo video, which really shows you both how to use the mixer and lets you hear what it’s good for! Why We Liked It - It covers the basics and works for any genre. That concludes the ten greatest vocal effects processors we managed to find, and we really hope that you found one among them that stands out a little extra to you. After all, they all have different things to offer and are quite unique, which will probably make it easier for you to choose, that is if you know what you’re looking for. But if you don’t, read our Buyer’s Guide, where we’ll tell you what to look for when you’re buying a vocal processor, and answer other frequently asked questions about vocal processors. Having the right vocal effects processor can really enhance your music and let your creativity flow freely, so even if it feels like a big project to choose and you just want to pick one and hope that it’s good, we recommend you to spend some time to make your decision, it will be worth it! 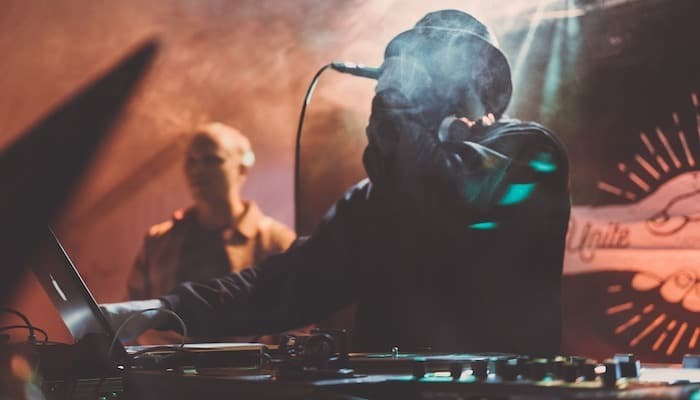 We truly hope that you’ve found this article useful and that what you’ve learned will help you to create awesome music, in the studio as well as on stage! There are a few different things you need to consider when you buy a vocal processor. First, you need to know what you’re going to use it for. Different vocal effects processors are good for live performances or studio recordings. 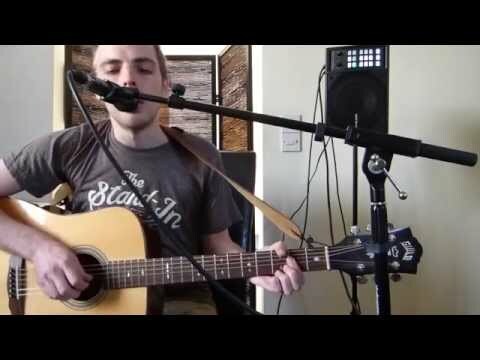 If you are going to sing live it might be good to get a vocal processor that you can either attach to your microphone stand or one that is a stomp box, depending on how often you’re going to need to change the settings. Another thing you need to consider is, of course, the price, how much are you willing to spend? We would recommend that you spend as much as you can afford since you, in this case, get what you pay for. Remember that it often isn’t cheaper to buy the super affordable option, as it might break after a while and you end up buying a bunch of the cheap ones when you could have just bought an expensive and good one from the start. You also need to know what voice or guitar effects you want it to be able to do. Some vocal processors can add harmonies, and some even listen to your guitar or keyboard to add the right notes that match the chords that you play. Most vocal processors will have reverb, delay and many have built-in equalizers. Then there are the fun guitar effects, like radio voice, robot voice and stuff like that. Some vocal processors will also feature looping, which is really fun and useful, especially for live performances. When you choose which vocal processor you want, make sure that you check out the videos we’ve linked to, so that you can listen to it. Don’t just look at the specs and compare that, remember that the sound is the most important thing. A vocal processor is what it sounds like, a little device that processes your voice in different ways. 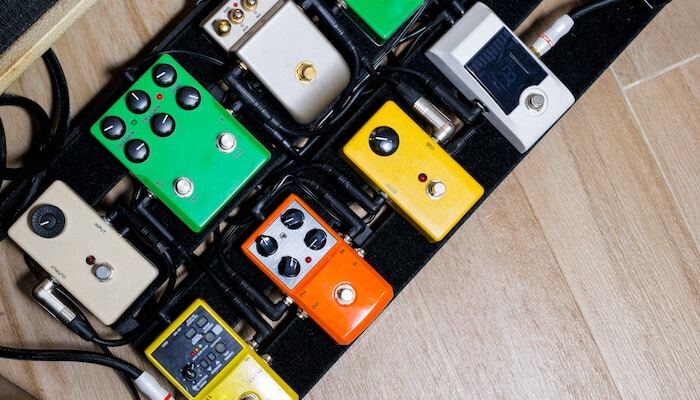 It’s like an effect pedal for a guitar, and there are many different types of sounds it can do that you could never make your voice do by itself. 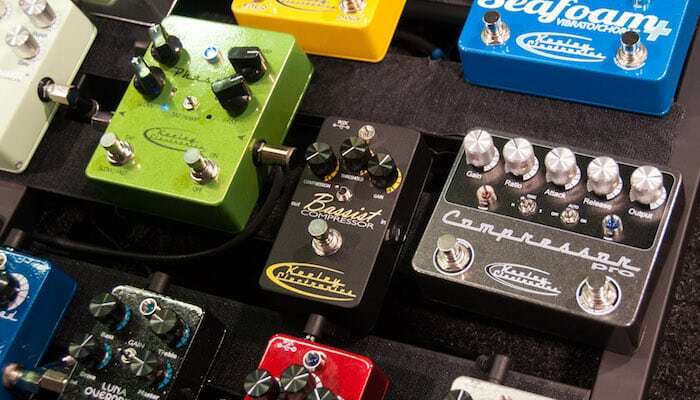 If we have to pick one we would say BOSS VE-5. It’s great for live performances because you can attach it to your microphone stand and it has lots of different effects. It’s everything you need! 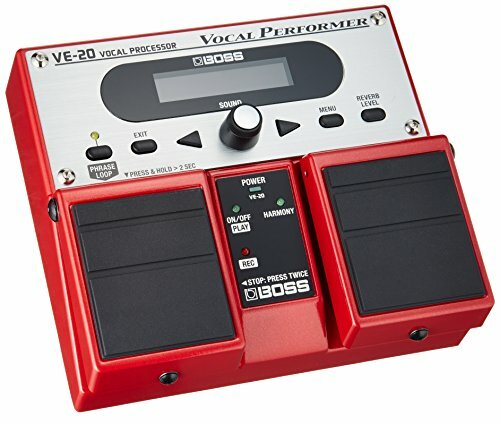 Boss VE-20 Vocal Performer is a very versatile foot pedal that is great for recordings, but pretty much any vocal processor from our list works well for that purpose. All the vocal processors we’ve looked at today are slightly different, and we would recommend that you read the manual or watch videos on YouTube on how to hook it up. 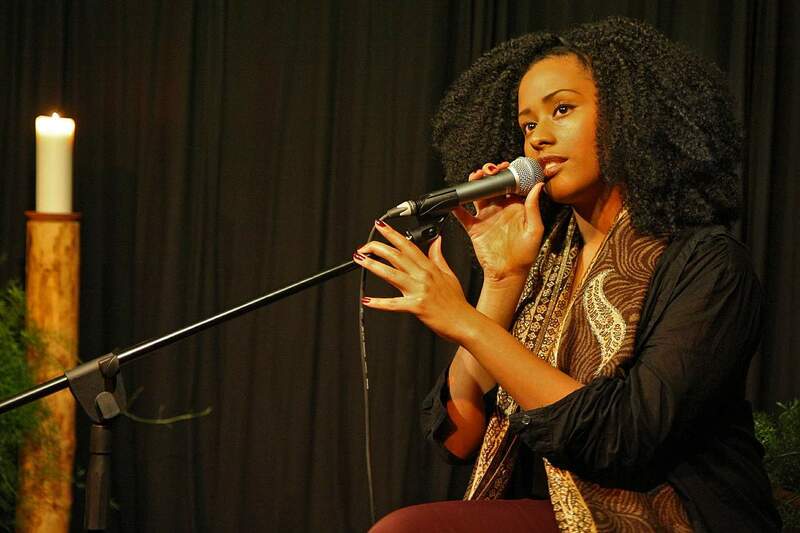 Make sure that you use a good microphone too, a vocal processor doesn’t compensate for a bad microphone. Vocal processors aren’t just for professional musicians, amateurs can have great fun with them as well! Read more about vocal processors in this study.